I just adore floral stamps. 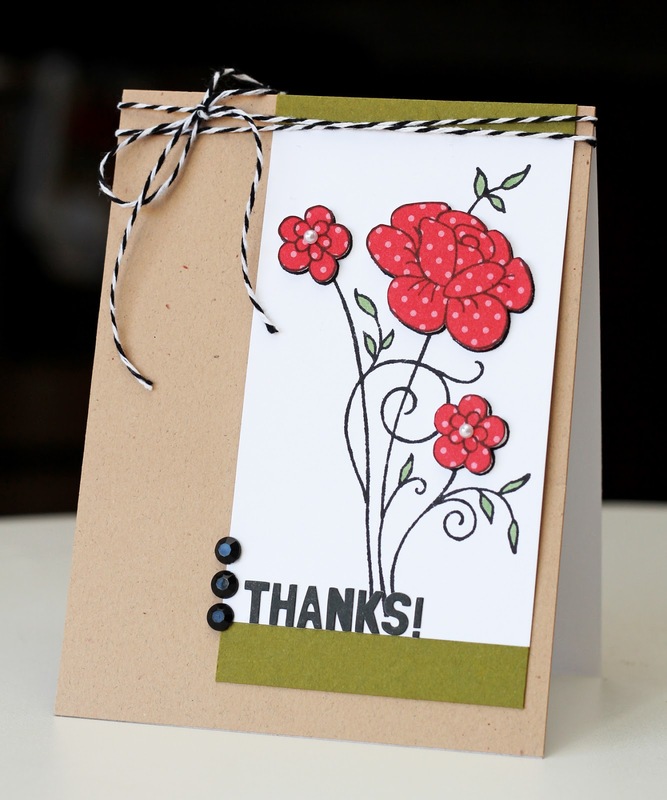 And I especially love flowers that can be used in a variety of ways: coloring, 2-step stamping, paper piecing. And this stamp by Great Impressions, Floral Bouquet, does not disappoint. For my card today I stamped the image once onto white cardstock, then again on to red and pink polka dot patterned paper. I cut out the flowers and adhered them using pop dots. I colored the leaves with Copic markers before adhering the panel to kraft cardstock. And don't forget about this month's Heart 2 Heart challenge. You can find all the details here! I need to get this stamp inky! I love the flowers paper pieced and that you can use just about any sentiment you want with it. Erin, this is so cute. I love the dotted paper that you used for the flowers. Thanks for sharing. I love how this stamp is so easy to paper piece..even another layer if one wanted to... I'm looking for easy & lovely! Totally gorgeous! I love your CAS design and paper piecing. Erin-you are the queen of CAS-pure loveliness!